Job control, and getting brought up in the greatest comedian ever conversation. 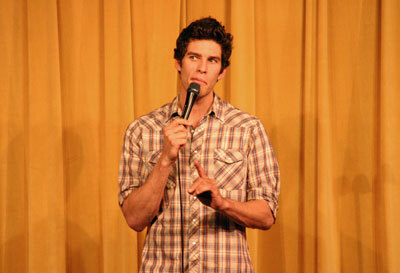 Andrew: When you are performing a new joke, do you take a premise on stage and work it out so it becomes a punch line? Or do you write it with pen and paper and then perform it? Lachlan: You know I get one punch line and then if it works, the joke as it is written with the punch line works, then I craft something while I am on [stage] with the laugh I already got. If what I wrote doesn’t work, I move on to the next thing. I use the laughter to give me the flexibility to create on stage. Andrew: Can you tell me a little bit about what attracted you to the art form itself and what perpetuates you to continue to do it? Lachlan: The fact that it is the only thing I have ever done that no one can tell me how to do. Nobody can tell me how to do my job. Andrew: What is the worst part about being a standup comedian? Lachlan: Well, other than the Comedy and Magic Club. Lachlan: I’m 6’5”, so traveling is the most miserable experience of my whole entire life. A lot of times when I get to the club, they think I walked over from next door. Andrew: What does that mean exactly? Andrew: What is the end game for you? Are you a stand-up comic, always going to be a stand-up comic, you want to be like George Carlin, or are you a stand-up comic that is trying to get into a sitcom that is trying to be a movie star? Ideally, if you could write your own career, if you had full decision making ability? Lachlan: Can I have it all? Andrew: Do you mean to go back and forth? Lachlan: I would love to be in the argument of the comedy round table whose one of the best. At the same time I understand I don’t like traveling, so if that means that I need to get a little sitcom action or something like that. I am definitely in Los Angeles to handle both of those things. Andrew: Perfect. Final question. Can you talk to me a little bit about the Comedy and Magic Club, good and bad, compared to other places. Lachlan: Well, the bad is it is like flying first class, I don’t like going any other places anymore. The good is it really is a club. It’s a place where comedian’s can go and not have to worry about other comedian’s competing with other comedian’s. It’s like the dog park, you know, no dog’s fight there. Everyone knows that if you are at The Comedy & Magic Club, you are a working comedian. You are talented. I believe you only can be invited here, so usually people don’t invite assholes over for dinner. They treat you like gold here and the comedian’s are awesome here. I know I can invite my friends to come visit here and they’ll have a great show. Where as most of the clubs, sometimes when you invite friends all you can really know is at least I’ll be funny. Who knows if those other guys are going to be funny. But here, I mean Neal Brennan, Danny Bhoy, Ivan Pacel and John Caparulo, you know you are going to have a great show. 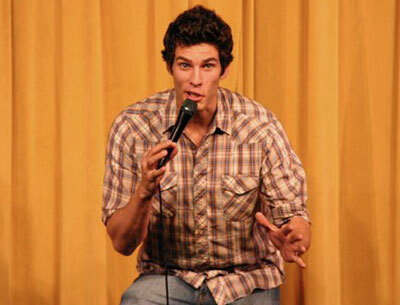 Lachlan Patterson will be on our fresh faces show Thursday, March 11th 2010. For reservations (310) 372-1193 or comedyandmagicclub.com. ER.